Radio Control Car Action delivers the power, speed and passion of the RC car scene. 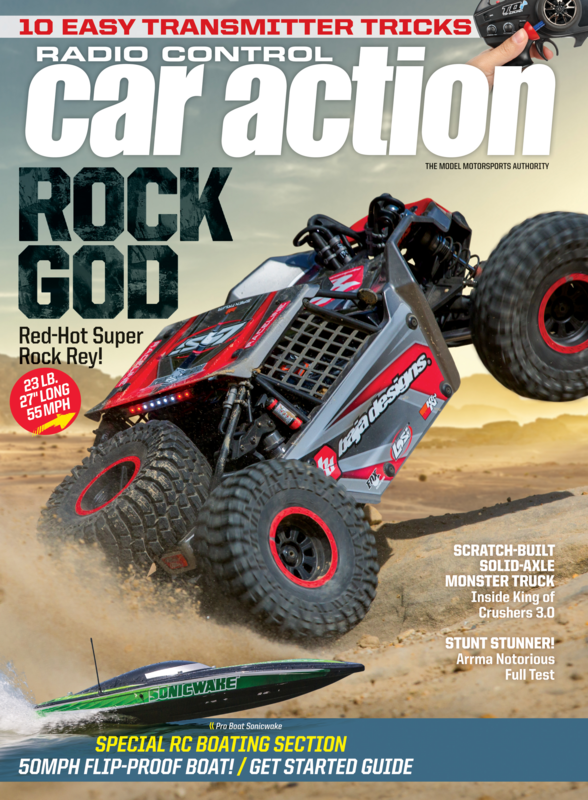 It covers the full spectrum of RC car excitement -- from racing to ready-to-runs and kits to custom creations, it includes cutting edge advice, comparison tests, buyers guides and tech tips that take readers to the next level. Give the gift of Radio Control Car Action which includes digital access across PC, Mac, iPad, iPhone, and Android! Automatic Renewal: We will continue to renew your Air Age Media subscription at the rate then in effect, without interruption, unless you tell us to stop. At the end of your subscription you will receive a notice prior to your credit card being charged. You may cancel at any time during your subscription and receive a full refund on all unmailed issues by visiting the Online Customer Service Center. If there is ever a problem with the card you provide, we will simply bill you instead.